ISHM is an innovative combination of technologies and methods that offers solutions to the reliability problems caused by increased complexities in design, manufacture, use conditions, and maintenance. Its key strength is in the successful integration of reliability (quantitative estimation of successful operation or failure), "diagnosibility" (ability to determine the fault source), and maintainability (how to maintain the performance of a system in operation). It draws on engineering issues such as advanced sensor monitoring, redundancy management, probabilistic reliability theory, artificial intelligence for diagnostics and prognostics, and formal validation methods, but also "quasi-technical" techniques and disciplines such as quality assurance, systems architecture and engineering, knowledge capture, information fusion, testability and maintainability, and human factors. This groundbreaking book defines and explains this new discipline, providing frameworks and methodologies for implementation and further research. Each chapter includes experiments, numerical examples, simulations and case studies. 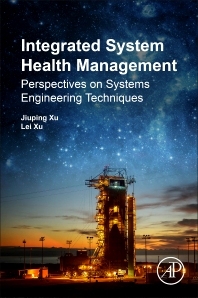 It is the ideal guide to this crucial topic for professionals or researchers in aerospace systems, systems engineering, production engineering, and reliability engineering. Grad students, researchers and engineers in systems engineering, aerospace systems, intelligent manufacturing. Jiuping Xu was born in 1962. He is a Distinguished Professor of “Cheung Kong Scholars Program”, the “Ten Thousand Project” National Leading Scholar of China, the academic leader of State Key Laboratory and the Assistant Principal at Sichuan University. Prof. Xu has been appointed as Lifetime Academician of the International Academy for Systems and Cybernetic Sciences. He is currently the Editor-in-Chief of International Journal of Management Science and Engineering Management, and World Journal of Modelling and Simulation since 2006. He is also the Vice-President of the Systems Engineering Society of China. He has published more than 40 books in well recognized presses and over 500 academic papers in areas of uncertainty decision-making, systems engineering, etc. in peer-reviewed journals, such as IEEE Transactions on Cybernetics, Aerospace Science and Technology, IEEE Transaction on Fuzzy Systems, IEEE Transactions on Aerospace and Electronic Systems, Journal of Aerospace Engineering, Journal of Aerospace Information Systems, International Journal of Systems Science and so on. Lei Xu was born in 1982. He received the Ph.D. degree in management science and engineering from Sichuan University, Chengdu, China, in 2012, and the B.S. and M.S. degrees in communication engineering from University of Electronic Science and Technology of China (UESTC), Chengdu, China, in 2004 and 2007, respectively. He is currently an associate professor and the management department head at Xihua University, Chengdu, China. He is also a research fellow of the Uncertainty Decision-making Laboratory at Sichuan University. His area of research interest mainly focuses on complex systems engineering and integrated system health and risk management.